According to a new rumor, Google is planning to launch a refreshed Nexus 7 tablet in 2016, and there's a good chance that the tablet will be manufactured by Huawei. Allegedly, Google has yet to lock down Huawei as the manufacturer of the new Nexus 7 tablet, although it is said that the China-based telecommunications giant is keen on continuing its partnership with Google. As is always the story with unofficial information coming from Asia's Weibo, make sure to treat this info with a large dose of the proverbial salt. According to the most recent estimates, Huawei is now the third largest smartphone maker in the world by shipment volume as well as the largest smartphone maker in its home country of China. In the context of Huawei's expansion towards Western markets, the new Google Nexus 6P is probably the company's most important smartphone in history, a high-end device sold and promoted by Google that is likely to introduce the Huawei brand to numerous customers from Europe and North America. In many ways, you can't put a price tag on the exposure that Google is helping Huawei achieve at a global level. 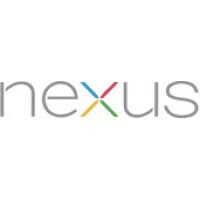 The original Nexus 7, manufactured by Asus and launched by Google back in July 2012, was the first Nexus tablet in history and the first Nexus device that Google sold at little or no profit. Drawn by the impressive price-performance ratio of the original Nexus 7, customers flocked to the Google Play Store, making the original Nexus 7 one of the best-selling Android tablets of all time. A year later, Google and Asus launched a refreshed Nexus 7 that offered improvements across the board while maintaining an affordable price and a great value for the money. Since the Nexus 7 era, however, Google seems to have abandoned the idea of cost-effective Nexus devices: the latest Nexus 6P is nothing if not a premium smartphone at a premium price while last year's Google Nexus 9 - manufactured by HTC - was introduced at a price of $399. If this rumor turns out to be accurate and Google really is planning to launch a refreshed Nexus 7, it will be interesting to see if Google will go back to its previous cost-effective model. For its part, Huawei's most recent tablet is the X2, a tablet that comes with specs such as a 7-inch display with a resolution of 1200 by 1920 pixels and a Huawei Kirin 930 SoC with either 2 or 3GB of RAM. Please do this, I'm looking for a tablet replacement next year and holy s**t all the good options are expensive and all the cheap options are bad. Although the Nexus 9 tablet was the best to date (IMHO). Especially at 1/2 a teraflop or 500 gigaflops. They should have had more ram and storage options. The Nexus 9 was goog because of lollipop but that's about it. The Nexus 10 was by far the best at its time. Ridiculously display, ridiculous battery life, top shelf cpu A15 cores when A15 wasn't due until next year. Only SOC able to handle the resolution at the time. Stock Android. It was top shelf through and through and I still use it despite the battery needing to be replaced. The Nexus 9 has a few major issues despite the excellent Tegra k1. It's freaking heavy for a semi portable 9 inch and way too small to be a movie machine. The buttons are just terrible. And the back cover flex, horrible. All Google needed to do with the Nexus 10 was refresh the internals (SoC, RAM, display technology, etc) and bump up the storage (add 64GB and 128GB), and I would keep going back to it. The Nexus 10 was an awesome tablet - so good it forced Apple to release the iPad 4 6 months after the iPad 3 because the Nexus 10 would have simply wiped the floor with the iPad 3. LOLOLOL where have you been? Even Sean Connery knows of the Nexus 5X. I want a sub 5 inch nexus so I want another Nexus 5 refresh. The current 5x isn't doing it for me at all. Please let Huawei make a nexus 10 or 12 as well. My wife has taken over the nexus 10 and I never see it anymore, lol. 7" tablets are dead, the majority that have owned the Nexus 7 want something bigger, the customer base has moved on. I love the 7" 16:9 form factor so much I recently picked up another 2013 Nexus 7. I would buy the f**k out of a 3rd gen model. They seem to be pretty aggressive to ingrain themselves into the US market. First with the 6P and now this? Sorry Huawei, but it's not gonna work as long as national security concerns are always linked with your name here. After the 6P breaking in half, I'm not going near a Huawei made product that costs more than 200. The internal design is beyond horrible in the 6P. Not worth paying so much. A 7" tablet with thin bezel can still be a good proposition. What made the nexus 7 2012 and 2013 big and clunky looking was the big bezels..
No not huawei.give that to samsung or sony. Like to see a sony nexus device.